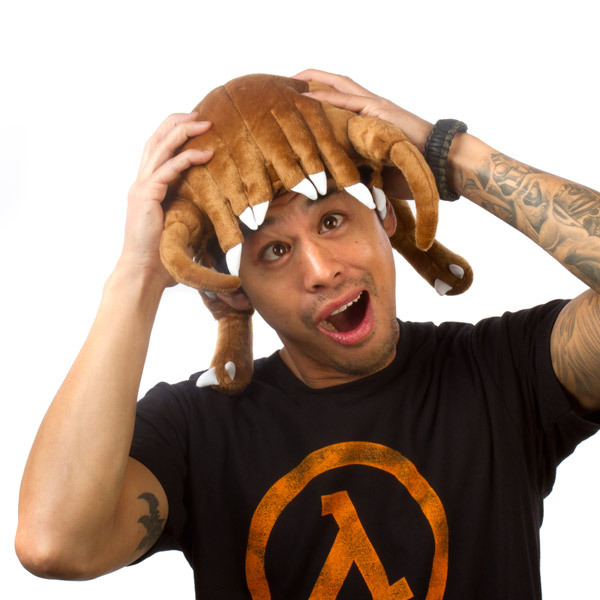 The jingle markets the Headcrab Hat, made famous by the basketball-sized parasite from the Half-Life series of games. All clips and snippets of anybody wearing a headcrab hat are to be shown on the music vid. Replace all occurrences of "Crabapple Face" with "Headcrab Hat." Labels: half-life, half-life 2, headcrab hat, jingle, marketing, parody music, Son of W.A.Y.